As an investment manager, we focus on a limited number of strategies managed by dedicated teams. Our goal is simple: to provide you with active, high value-added investment management based on strong convictions resulting from in-depth internal research. Asset management is the cornerstone of the SYZ Group. Over the years, we have built a recognised expertise in strategies such as European equities, fixed income and asset allocation solutions. Thanks to our independence and a corporate culture solely dedicated to investments, our portfolio managers work in ideal conditions to meet your goals. 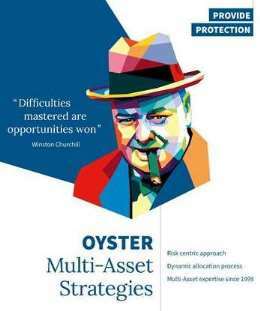 Our expertise goes back over 20 years starting with the launch of our OYSTER fund range - today a well-established brand in Europe. In order to meet the specific needs of institutional clients, we build tailor-made mandates and investment solutions together with our clients. With SYZ Asset Management being a privately owned firm, we are totally independent in our investment choices. The long-term commitment of our Group's founding shareholder and CEO, Eric Syz, provides us with the benefit of an essential ingredient for successful performance: patience. Our strategic choice to specialise combined with a firm organisation which promotes teamwork, enables us to maintain our agility and continuously adapt to your needs. * Based on our equity funds.